‘Ok. It is good that she has gone there for her niece’s wedding. She will feel better after meeting her relatives. After Payal and Akash left, both Khushi and Manorama have been missing them a lot. Chotey did a good thing that he put a leave today and took Khushi out to make her feel better. When do you think they will come back. Did he call?’ Nani asked. ‘No, Nani. But, I think they will be back only after having dinner. It had been so many days since Chotey took Khushiji out. They must be having a good time’, Anjali said while smiling. ‘I know, but just call and find out if they are coming home for dinner or not’, said Nani. Anjali agreed and was about to dial the number when the door bell rang. 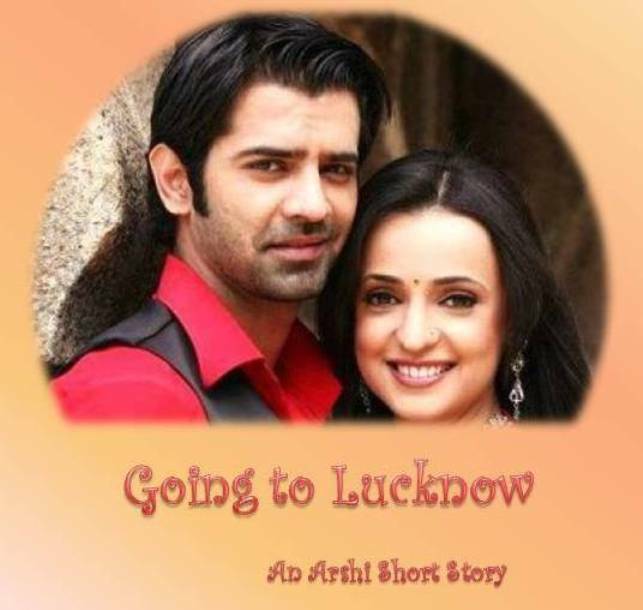 Hari Prakash (HP) opened the door and in came Arnav and Khushi, walking hand in hand and smiling broadly. ‘Oh, you both have come. I was just about to call you’ said Anjali. Arnav and Khushi came in and sat on the sofa opposite to that of Nani and Anjali. ‘I thought you would come after having dinner too,’ said Anjali. ‘Yes Di, the plan was there. But, Khushi was feeling tired, so we came home early’ said Arnav. ‘Ok, then go and get fresh. We will have dinner early and you can take rest’ Nani said. ‘Actually, Nani, Di, there is something that we have to tell you’ confessed Arnav . He was about to start telling about it when HP came in with the glasses of water. Arnav and Khushi drank the water and returned the glasses. 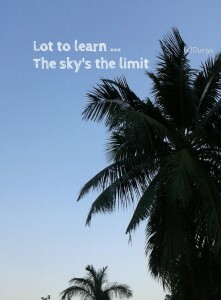 ‘What is it, Chotey?’ asked Anjali. ‘Naniji, shall I make tea?’ It was HP. ‘Yes, you make tea. Khushiji is looking tired, she may want some. What do you say, Khushiji?’ asked Anjali. Khushi nodded. Arnav was about to continue when Nani said, ‘HP, don’t make for me. I already had two cups.’ HP agreed to obey and left from the scene. ‘Yes Chotey, you were saying?’ asked Anjali. ‘Naniji, what shall I make for dinner today? I was thinking since I brought extra potatoes, I can make aloo parathas.’ It was HP interrupting Arnav again. 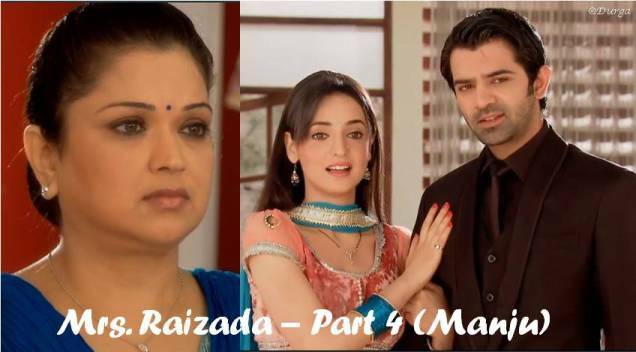 Arnav was beginning to feel restless now, but decided to be patient. Khushi could see his condition and tried hard to control her giggles. ‘Yes, yes. That is a good idea. Everybody likes aloo parathas, especially Khushiji’ said Anjali and looked at Khushi. Khushi smiled. HP left as his query was answered. Arnav was about to continue but just looked back to see if HP is coming back or not. He wasn’t. Arnav heaved a sigh of relief and was about to start when he heard again. ‘Naniji…’ that was HP’s voice again. ‘Enough’, Arnav erupted and glared at HP. Poor HP understood that he had to put a stop to his queries for now and went back into the kitchen. Anjali asked him to relax and continue. When they had come in, Arnav was determined to tell the good news quickly before he started getting any weird feelings. 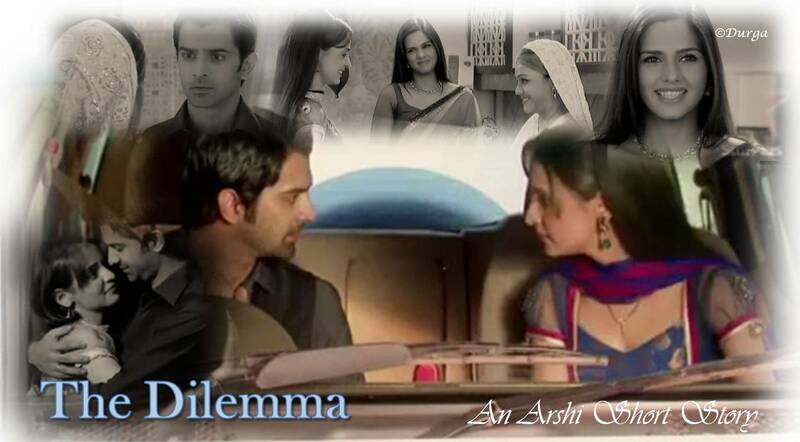 But, the delay had brought the restless Arnav back. ‘A… A… Actually, me… and Kh… Khushi… had to…’ he stopped and closed his eyes. This was a big thing, he needed to convey properly. He decided to not beat around the bush and come straight to the point. 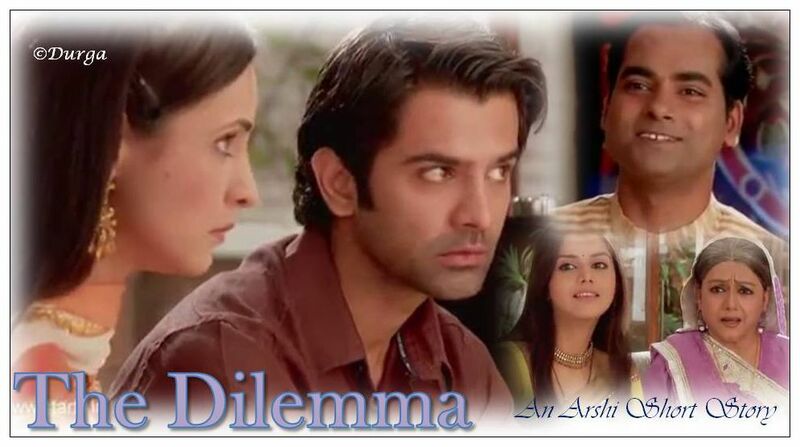 Just three simple words – Khushi is pregnant – that’s all, and then he can relax. He took a deep breath and opened his eyes. Nani and Di were staring at him, waiting for him to finish what he had started. Their stare undid him and in came the awkwardness. ‘Awkward? Not again, dammit’ he thought. He decided to get over with it quickly. He was about to say when his phone rang. It was Aman. Like a reflex action, he got up from there, told everyone that this was an important call and left saying that he will come back soon. As he started climbing up the stairs, he picked up the call. ‘Aman, you are a savior!’ Aman was surprised with that reaction. Whenever he would call his boss home, he would always get a tone that meant that he was disturbing, intruding. But, this was different, infact a first time reaction of this sort. ‘Sir!? ?’ he asked. ‘No, no , nothing. Ok, tell me. Why did you call?’ Arnav asked. ‘Sir, just wanted to inform you that the documents have been sent to Singhania’, said Aman. ‘Oh, ok. Thanks’ replied Arnav. The conversation was over even before Arnav finished climbing up the stairs. But he didn’t stop nor did he remove the mobile from his ear. The constant interruptions had interfered in his determination. He had to assemble his thoughts and then return to reveal the good news. He went into his room. Meanwhile, Khushi was surprised that Arnav had left her alone with Nani and Di and went away on the pretext of a phone call. ‘Chotey and his phone calls, they are never ending’ said Nani. ‘Oh, Nani please, who else will know that better than me’, thought Khushi. ‘Khushi bitiya, don’t know when he is coming back. Why don’t you finish what he was trying to say?’ asked Nani. Khushi got stunned. Now how was she supposed to tell them. She started biting her nails.